Courtesy of UWHARRIE POINT REALTY. 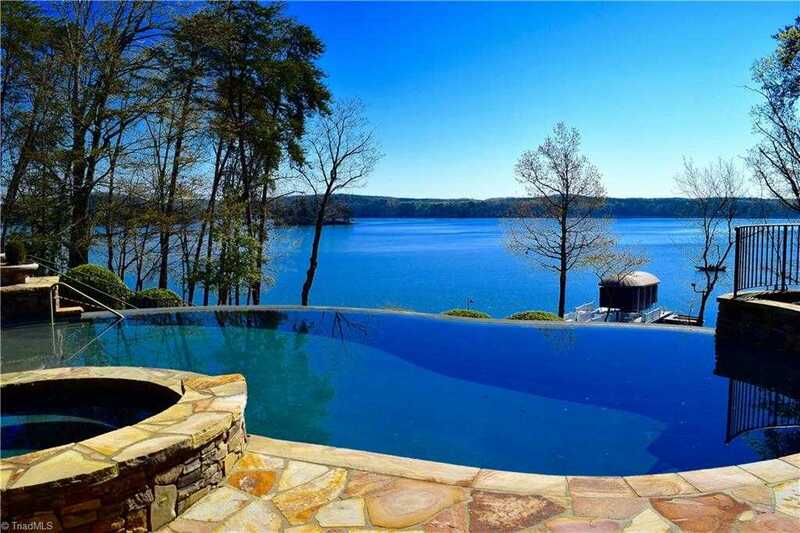 Imagine floating in your infinity pool overlooking Badin Lake and the natural beauty of the Uwharrie Forest on the distant shore! This home has it all – spacious, indoor and outdoor entertaining areas, outdoor half bath with open air outdoor shower, private pier with lift and jet ski dock, six bedrooms with their own bathrooms, a gourmet kitchen, temperature-controlled wine storage, a media theater and game room – all immaculately crafted and maintained. Directions: From Greensboro take US Rt 220 S to NC Rt 49 S. Follow NC Rt 49 S towards Charlotte for approx 25 miles to a flashing light (service station) turn left. Follow the directional sign @ 3 miles to the Old North State Club entry gate. Please, send me more information on this property: MLS# 926586 – $2,495,000 – 181 Flint Ridge Trail, New London, NC 28127. I would like to schedule a showing appointment for this property: MLS# 926586 – $2,495,000 – 181 Flint Ridge Trail, New London, NC 28127.